He might be right about that. Think about the implications. This year, next year or the year after is a tipping point for digital books. He clearly isnt saying that three year olds will not be having Babar read to them in 2013. But it could be that a lot of kids will be having Babar read to them from iPhones or colour Kindles in 2013. A lot of folk in the publishing industry would say that Darnton is being a bit early with that conjecture, but if you look at the way that the iPhone and netbooks have jumped forward in the last year or two, he could be spot on. Bedtime stories in many households will be coming from mobile devices, of course with colour screens, in three or four years time. In three or four years time many households that cannot afford colour books will have mobiles with colour screens. But I think that there is another implication of his remark. People will not in five or ten years time be feeling nostalgic for print books. They will be very excited about what you can do with real books, digital books. Sure printed books will still be collectable and valuable, some of us will prefer them to digital books. Just as a few of us prefer vinyl to digital recorded music, but it will be a small minority. It may be a very small minority. Do you still know people who use typewriters over computers, who use slide rules over calculators? Not many left. When digital books have really arrived they will be so much better than print books that nobody will feel nostalgic for print. The books and the libraries of 2020 will be vastly more useful and vastly more accessible than those that we have now. Darnton is right. Also, though he did not say this: not only will the digital libraries be so much better than the merely print-based libraries of the 1970s, they will also be so much unlike our early efforts to create digital books and digital libraries, that readers of 2020 will be looking back on the primitiveness of our current Kindles, EPUBs, GBS and other efforts with embarasment. 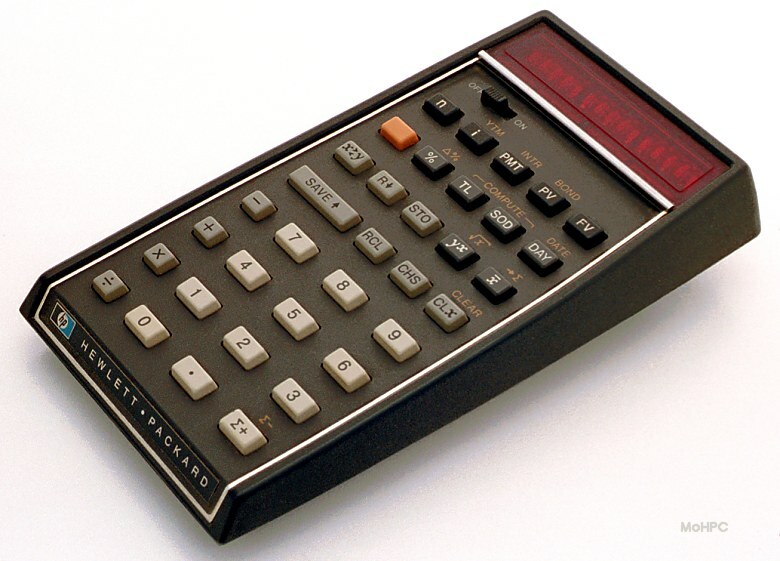 Do any of us remember how clunky the first calculators were? About digital books and magazines I am an unmitigated optimist. Even about newspapers. The few remaining digital newspapers will be great once the publishers have learnt how to make them work. There is still a huge amount of fear of digital in the publishing industry. There needs to be more excitement and enthusiasm. There will also be some nostalgia about ‘primitive’ digital technology: As the old guy I’m, I’d love to be able to get a working copy of quite a few Expanded Books from The Voyager Company (Attn Bob Stein: any chance to get a new enhanced release of Macbeth? I Photograph to Remember? …)Digital libraries/archives/media centers will have to manage access to obsolete technology as well as to ‘old’ ”’content”’. The problem with that statement is that preference for print is NOT nostalgia. As a former librarian managing digital technology I used to say the same thing…about people born in 1985…then people born in 1990…then people born in 1995…then 2005…well, we're still not there yet, so now it's 2010….and yet, I still meet kids born in 1995 who love both their techy gadgets & print books. I've not seen Darnton's presentation and I highly respect him. Of course, the future of the print book and the future of libraries are separate topics. Generally, though, I will agree that only a minority in the future will be interested in print books. Of course, only a minority of people NOW are interested in print books and that also was true 25 years ago. But it's not nostalgia. It's just a preference. You say “Bedtime stories in many households will be coming from mobile devices, of course with colour screens, in three or four years time. In three or four years time many households that cannot afford colour books will have mobiles with colour screens.” Why is it that you think fancy electronics will be more affordable than printed books? Mary — I think that mobiles are already becoming very pervasive in the developing world and they will have a hugely positive impact on literacy there. Cell phones are everywhere in Africa. Books are scarce. Digital books will be cheaper because of competition and the low cost of delivery. Once consumers have a colour screen…the marginal cost of buying a cheap digital service is not high. The cost of supplying it is very low. So profit and pleasure.